Washington forward Donaven Dorsey (turf toe) is out. Junior center Gilles Dierickx gets first start. UW down to seven scholarship players. Dorsey is questionable for Saturday. UW also missing forward Shawn Kemp Jr. (calf). who is out tonight and doubtful for Sat. Tonight's officials: Mike Reed, Brett Nansel and Larry Spaulding. Huskies wearing white shorts and jerseys. Colorado is in black. Colorado is a 2-point favorite, which is somewhat surprising considering Buffs are 1-9 in road games, including 98-94 OT win at USC. At this point I just want to finish with a non-losing record. I thought tonight would be the best chance to get 1 more win but with the injuries our best chance might be against OSU in the P12 tourney. If we win that and then beat Uzero, does that knock Uzero out of the NCAA? Tonight's #cubuffs starters vs. Washington: Booker, Gordon, Fletcher, Collier and Scott. Rousing national anthem from Pastor Pat Wright. Just might be the highlight of the night. We'll see. Getting ready to start. A little empty tonight at old Hec Ed. Lots of talking going on for Washington, which could be good and bad. Always good to talk. But you wonder if everyone is on same page. First 5 offensive possessions for the #cubuffs: 0-4, 1 TO. Not exactly a shooting clinic taking place at Hec Ed. Both teams combining for 2 for 14 shooting. Washington down 5-2, 15:55. 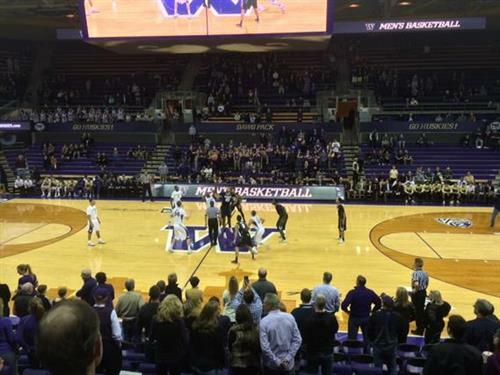 Washington honoring former Husky standout Christian Welp who died Sunday. Huskies shooting 1 for 9. Colorado is 1 for 5. Bricks everywhere. If Askia Booker shoots 3 with Josh Scott in the post, I'd send him to the locker room if I were Tad Boyle. UW down 24-13, 3:17.
sweet jesus, where is the effort? they play like the goth kids in gym class - just stare at the ball and let someone else pick it up. Last time these teams played, UW trailed 24-19 at halftime. Huskies won 52-50. So they're still in this one despite being down 24-13. Wesley Gordon's shooting the last 3 games: vs. Arizona 0-for-0, vs. ASU 0-for-1, tonight so far 0-for-0. 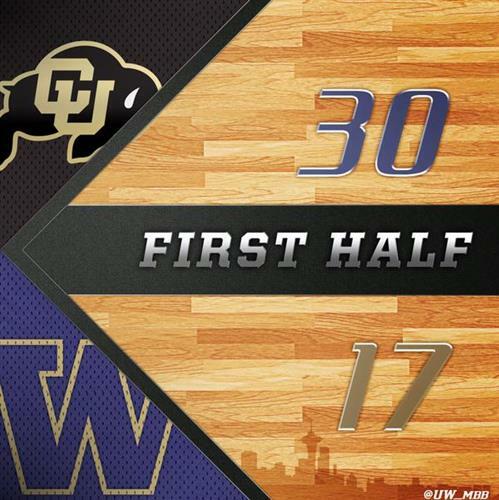 Washington trails Colorado 30-17 at halftime. Halftime: #cubuffs 30, Washington 17. Colorado's Josh Scott leads all scorers with 14 points. Nigel Williams-Goss has six points for Washington. Stop me if you've heard this before... #UW trails at the half for the 13th straight game. Josh Scott has 14pts for Colorado. #UW has 17 points total.